Welcome to my tutorial. On the bottom of the page I included links to 2 tutorials you might find useful and my layer mask tutorial is actually quite necessary, so check it out. 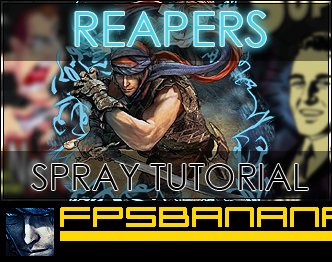 I forgot to write in the tutorial that when you're finished with your spray, save it as a .TGA, but that is mentioned in the layer mask tutorial! Thanks Deadman22 for the Set! I cant read the text so well, (because my eyes are pretty bad, waiting for glasses..) but when i make a spray theres white all around the spray i made. The after effects can be done easily, so you should try checking them out. It took me 2 hours to write this up and another half hour to do the effects, so I tried to make it as detailed as possible. Ok but it's H U G E ! ! ! !